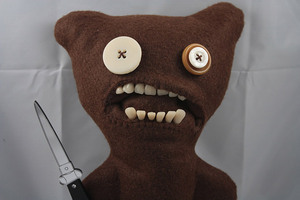 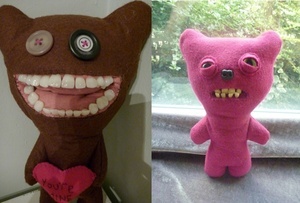 Mrs McGettrick o fMrs McGettrick‘s Fuggler Emporium adds glass eyes and fake human teeth to her handmade cuddly plush dolls (€20 – €40 each) for the express purpose of haunting your nightmares. 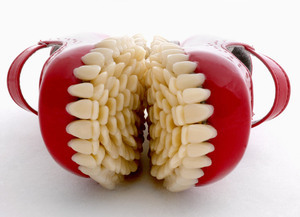 She explained to Reddit how she was offered real children’s teeth by friends, but drew the line there. 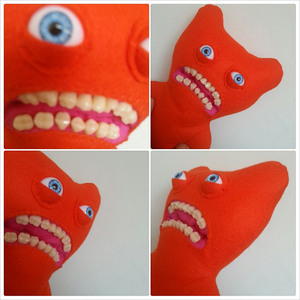 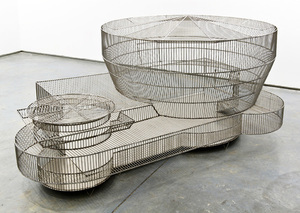 Posted in Art/Craft, Design and tagged teeth, toy at 7:27 am on September 20, 2013 by Broadsheet.